I first learned about Drylet’s Aqua Assist through an article I read in Treatment Plant Operator magazine about new and innovative products. The challenge I was facing was my biosolids production and sludge hauling costs which had tripled in recent years. As more and more landfills and incinerators are becoming mothballed for numerous reasons, these costs are expected to escalate and I knew that I needed to do everything I could as Chief Operator to reduce those costs. With Aqua Assist, Drylet provides a proprietary blend of microbes in a dry-to-the-touch product with an unbelievable amount of surface area that is capable of reducing your biosolids production by as much as 50%. I had considered other products in the past professing similar results but had never tried any of them mainly due to testimonials from other operators who had tried them and were disappointed. That disappointment, combined with a relatively high initial cost without knowing how much I would need to use, and with no guarantee of any result or any real proof to back up those claims, had me convinced that operating the plant conventionally was my best bet. But when I saw that Drylet’s Aqua Assist had won the WEF 2017 Innovative Technology Award, my interest was piqued: right away, that separated them from the pack (competitive advantage and the beginnings of a moat.) I went to their website and watched some of the videos and learned more about their line of products. Despite my skepticism, I decided to give Drylet a call and speak with them about what I was looking to do. I learned that not only they would back the whole trial up with support, computer modeling, and Ph.D.s to talk to, but additionally, if I didn't think that Drylet was delivering on the promises or claims made, I wouldn't have to pay a dime for any of the trial product. Unbeatable deal in my book. So I did something I thought I'd never do: I signed on for a 3-month subscription trial. As promised, Drylet provided all the product needed based on our plant size, flow, and configuration, as well as tech support and assistance. For several weeks, we really didn't see much, if any, changes. Then, little by little, we noticed better settling, clearer effluent, and less bulking than usual. Then we started slowly reducing our wasting and were directed to let our Mixed Liquor Suspended Solids (MLSS) concentration climb to a much higher level than I was used to or comfortable with. Prior to using this product, we ran a MLSS of 2800 mg/L to 3400 mg/L during the warm season and 3400 mg/L to 4000 mg/L in the winter, always keeping the bottom of our final clarifier scoured out with all the sludge being kept in the aeration tank where it could do the most work. At least we thought that was the way to operate. Then we were asked to let our MLSS climb to 4000 mg/L and eventually to 5000 mg/L. Now I was clearly out of my comfort zone and needed assurances that this would not backfire on me and leave me with tons of solids carrying over my final clarifier weirs and into my chlorine contact chamber. 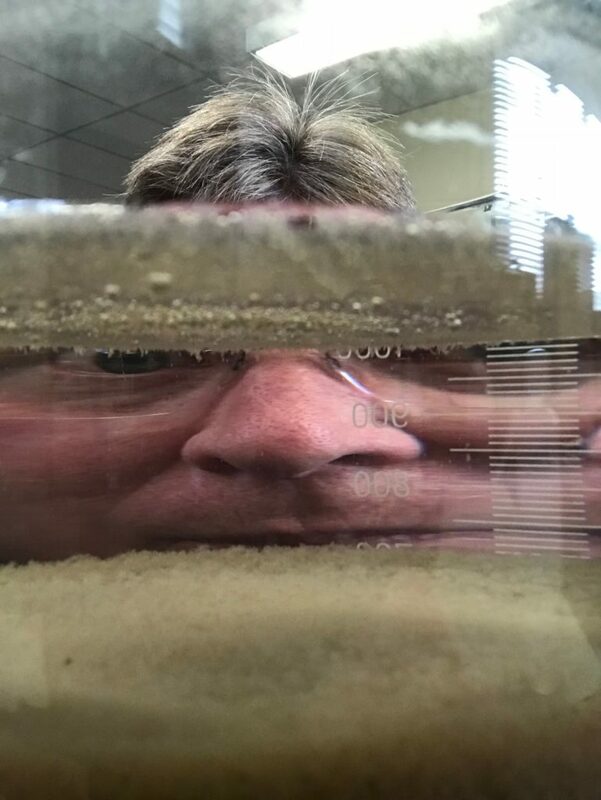 I had visions of coming in one morning and finding a three-foot blanket of sludge floating on top of my clarifier with 100lbs/hour of solids going out and into the Connecticut River, our receiving stream. I received the assurances I needed and stayed with the advice Drylet was giving me weekly on how to steer my plant along, operating in this new way. 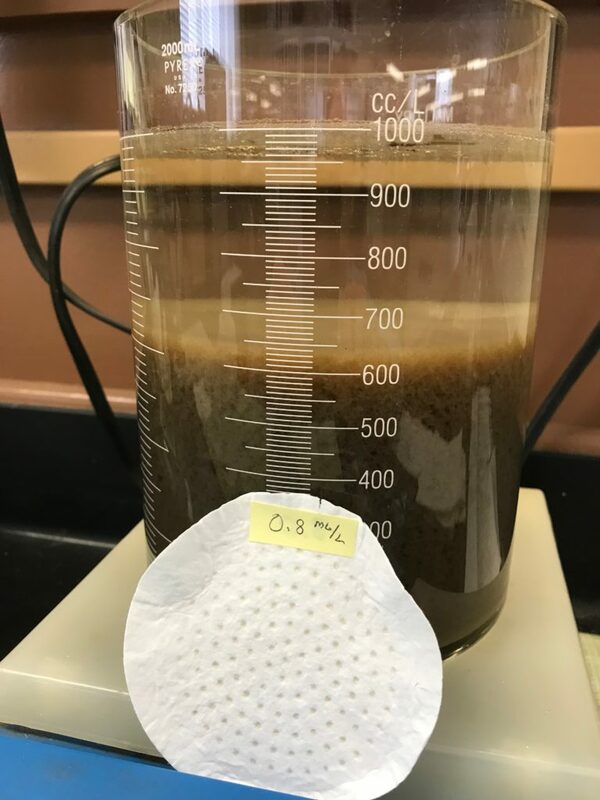 They also asked me to start keeping a blanket of a couple of feet of sludge in my final clarifier because that facultative environment helped with BOD removal and gave the microbes more time to reduce the inventory of biosolids. This whole experience has been pretty remarkable. It's taught me – and allowed me the latitude – to operate differently and in a way that reduces our overall operational cost significantly. When our trial ended in February, I wanted to continue for an entire year, just to see what would happen during the warm seasons. Now I'm glad I did. As a small, extended aeration facility with no headworks, mechanical surface aeration, nor biological nutrient removal, and only one small circular final clarifier, we waste our sludge in batches averaging 20,000 gallons. We turn off our RAS pumps and let the solids build up in the clarifier for several hours, then waste to a sludge-holding tank, introducing a coagulant along the way. By February 2018 we went from sending out seven 9,000-gallon sludge loads per month to five at an average of 3% solids. This condition remained until the end of March 2018 when we started skipping waste events altogether and started wasting only once per week. The improvements continued and are still going strong. 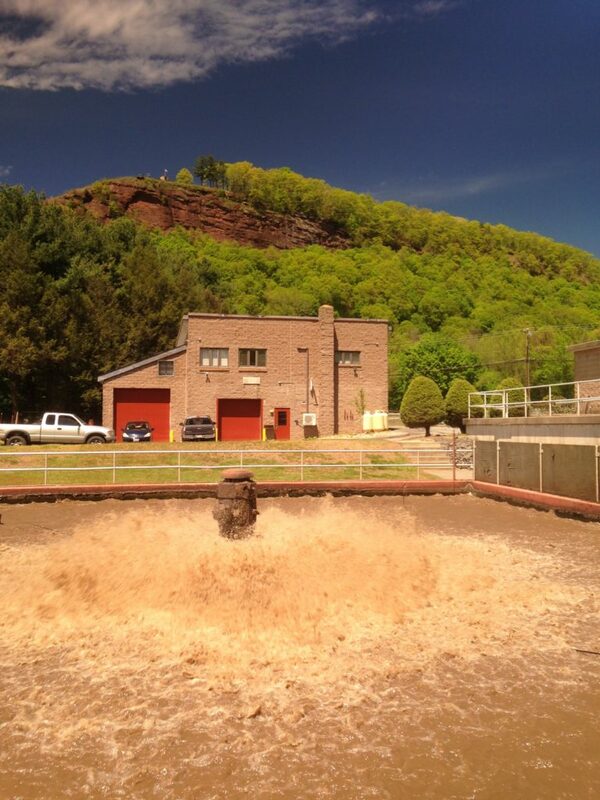 In June, July, and August we wasted sludge out of our system at South Deerfield WWTP only twice per month! I cannot think of anything else I could do or add into our treatment picture for such a small monetary outlay that would also reduce our biosolids this significantly. In 2017 we had 86 9,000-gallon loads leave this plant for disposal at an average cost of $804 per load. That was an average of seven loads per month or $5,762 per month to get rid of our biosolids. For July 2018 two loads were generated or just 29% of the 2017 monthly average. In August, we sent out two loads also, at a total cost of $2,463. That compares to nine loads that left the facility in August 2017, for a cost difference of $5,135. Given our $500 monthly subscription to receive the Aqua Assist product and support services, the monthly net savings over August last year were $4,635! Quite a cost savings indeed. I cannot think of anything else I could do or add into our treatment picture for such a small monetary outlay that would also reduce our biosolids this significantly. This has been a very simple solution to our escalating sludge-hauling problem and has made a significant positive impact on controlling those costs, while giving us no more bulking, no rising solids in our clarifier, excellent denitrification, very low nutrient numbers, and single digit TSS and BOD values without any infrastructural changes or additions whatsoever. Drylet offers a subscription model, as well as excellent technical support. Everyone I have spoken with at Drylet has been helpful, knowledgeable, and professional, and the operational advice they have given me has been spot on. They will ask you for a couple of years’ worth of data in order to configure a pilot plant using Mantis software. They will help steer you along towards better treatment and reduced sludge production. Your weekly conference calls will help calm your nervousness about things like your MLSS concentration level (something that took me a while to get used to) and other concerns. I am highly recommending Aqua Assist. It is working amazingly well at our ancient, in-dire-need-of-upgrading, extended aeration plant. Even with all the rags, grit, and other trash all swirling around these amazing bugs, they are still getting the job done well enough for me to want to recommend it to you. If you're on the fence, all I can say is “go for it, and give it a try.” I'm certain that you won't be disappointed. This whole experience has been pretty remarkable. It's taught me – and allowed me the latitude – to operate differently and in a way that reduces our overall operational cost significantly.